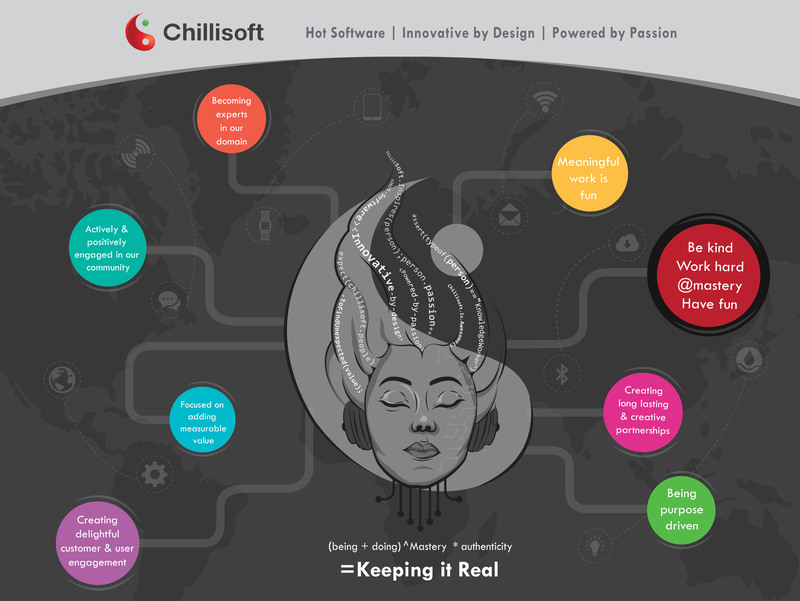 Chillisoft is a respected software development company (BBBEE level 2) that is well known for our ability to execute brilliantly. We develop software solutions and products that are test driven and that are based on lean principles. Our focus is software development and we practice what we preach, by training, mentoring and working with software development teams to develop and implement test driven code for projects that are highly complex with large areas of uncertainty. We love solving business problems and we are equipped and experienced in working collaboratively with your team(s) onsite or from our Chillisoft offices. We love what we do and we do what we do excellently.